Yggdrasil’s premier slots content now at GVC online casino sites. Yggdrasil Gaming is one of the internet gambling world’s finest creators of digital slot machines and other gambling content. Not long ago, they were known for their ‘quality over quantity‘ approach to interactive games development. Boy, how times change. Their portfolio has grown immensely over the last few years, as has their trophy case. GVC Holdings is an equally impressive group, but for different reasons. GVC is the parent company of a wide range of online gambling operations—the very type of operations that host the digital gambling content of development firms like Yggdrasil. According to a press release issued last week, these two top-tier company’s are finally teaming up. 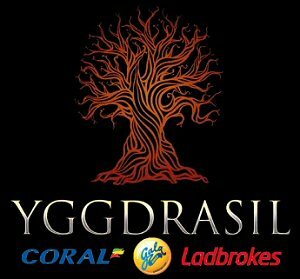 Yggdrasil inked a contract with GVC to provide its award-winning online slots portfolio on GVC’s top three iGaming brands, Coral, Gala and Ladbrokes. From here onward, GVC’s Coral, Gala and Ladbrokes iGaming subsidiaries will each host the market-leading portfolio of Yggdrasil slots games. Members of these online casinos will have access to more than 50 Yggdrasil titles. They will include the firm’s hottest releases of all time, like the Vikings online slot trilogy; Vikings Go Wild, Vikings Go Berserk, and Vikings Go to Hell. Players can also enjoy their latest content creations, like Cazino Cosmos, Trolls Bridge, and their first ever branded slot machine, Nitro Circus. The three iGaming giants will also gain access to the deployment of Yggdrasil’s trademark BOOST® program. BOOST is a promotional content system that offers a range of tools for delivering promotions directly to users within the gaming client. The new contract with GVC is a shining moment in Yggdrasil’s brief but impressive history. Ladbrokes and Coral rank among the largest live and online betting companies in the United Kingdom, both famous for hosting retail betting shops all across the region. Similarly, Gala is the UK’s largest operator of live and online bingo games. The heads of both companies offered their enthusiasm over the landmark deal. First up is Yggdrasil Gaming CEO Fredrik Elmqvist. GVC’s Chief Product Officer, Liron Snir, is equally excited by the opportunity to offer some of the iGaming realms hottest content on the group’s largest online casino sites. The timing of this new deal between GVC and Yggdrasil couldn’t have been better for the online slots creator. If high school taught us anything, it’s that everyone wants to schmooze with the kids at the cool table. The industry’s largest annual convention, ICE Totally Gaming, is coming up next week at the Excel London. No doubt, Yggdrasil will be high on the priority-networking list for countless operators and startups.